What’s the Cost of Owning a Car? Personal Loans > Resources > Major Expenses > Unexpected Expenses > What’s the Cost of Owning a Car? It doesn’t matter if you’re buying a new or used car, it’s important to understand the financial impact. Upfront, it’s easy to focus on nothing more than the sticker price. And with the average new car costing approximately $31,400 after incentives, the car’s price is indeed a key factor to consider. However, before you sign on the dotted line, you must become familiar with the true cost of owning a car. There’s more to this than what you pay to drive the vehicle off the lot. Some people are able to live out the dream of buying a car with cash, but this doesn’t hold true for most. Instead, you may rely on financing to make your purchase. Unless you’re able to secure a zero percent loan (these do exist), you’ll find yourself paying interest each month. 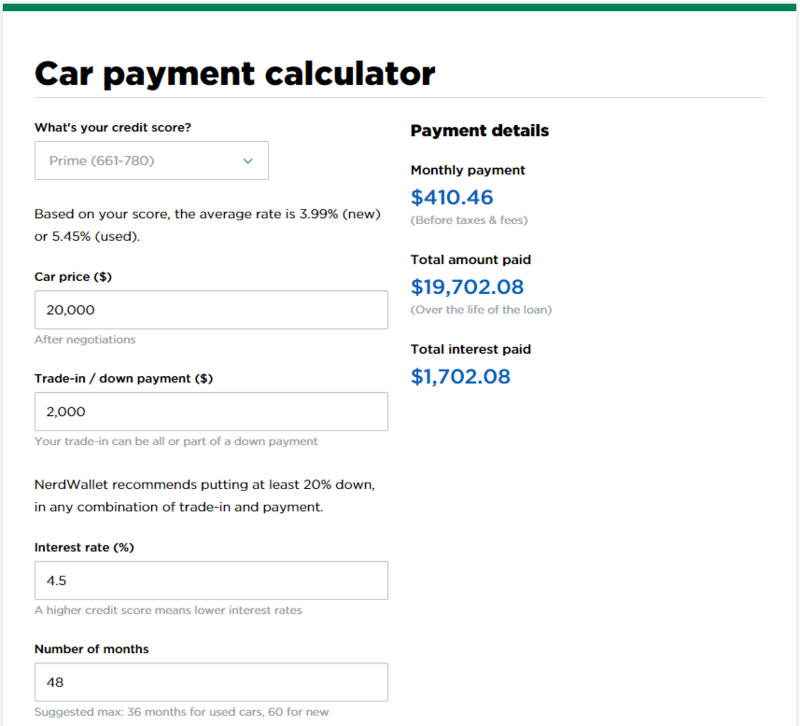 NerdWallet has a car payment calculator, where you can plug in your car price, down payment, interest rate, and term. Not only does this spit out your monthly payment, but it also displays the total interest paid over the life of the loan. Regardless of where you live, you need to understand the car insurance requirements in your state. Tip: Geico’s website has helpful information to learn more about minimum insurance requirements in your state, along with important state specific laws. There are many ways to save on the cost of car insurance, such as lowering your coverage, increasing your deductible, and taking advantage of discounts (such as good driver and multi-policy). One of the biggest drawbacks of buying a car is depreciation. Even if you take great care of your car, it’s going to lose value over time. The first point is self-explanatory, but the second one will take a bit of research on your behalf. Every year, Kelley Blue Book shares its “Best Resale Value Awards” list. You can search by brand, overall top 10 winners, and category winners. If one of these vehicles will work for you, it’s safe to say you’ll be happy with the resale value come trade-in time. Even though electric cars are growing in popularity, these models are still lagging far behind their gasoline powered counterparts. As of January 30, 2018, the national average gas price is $2.59/gallon (regular). Depending on how much you drive, it’s not out of the question to spend hundreds of dollars per month on fuel alone. It’s important to consider this expense when buying a car, as fuel economy numbers greatly vary by model. If this is a determining factor for you, here’s a list of the most fuel efficient vehicles. It goes without saying that you never want anything to go wrong with your vehicle. Unfortunately, as your car ages, there is a greater chance of this happening. Even if you don’t run into any mechanical issues, you still have to pay for basic upkeep. This includes everything from tires to brakes to oil changes. If you find yourself facing an expensive automotive repair – such as a catalytic converter or water pump replacement – you don’t want to wait around to take action. The first thing you should do is see if it’s covered by an active warranty (either standard or extended). If it’s not, you can then turn to your Discover savings account, credit card, or a personal loan. So, How Much Does it Cost to Own a Car? Interest rates affect car loan payments and vary for each person based on credit history, the length of the loan, and more. Insurance costs vary by state and are influenced by driving history and a host of other factors. Fuel costs vastly differ based on the type of vehicle, how often it’s driven, and local gas prices. Now for insurance. Finder.com states that the average 2017 Honda Civic insurance rates for a year are $1,836. Over 4 years, that is $7,344. We’ll skip depreciation in this example and jump to fuel costs. The 2017 Honda Civic gets roughly 32 miles per gallon (combined city/highway). If the national average is $2.59/gallon (regular) and 12,000 is generally considered a norm for yearly driving, that would bring an estimated fuel cost of about $970/per year [(12,000 / 32) x $2.586]. Over 4 years, that’s $3,880. For scheduled maintenance costs to 75,000 miles, Bankrate.com states a Honda Civic is roughly $1,163. Keep in mind this doesn’t include an unexpected major car repair. 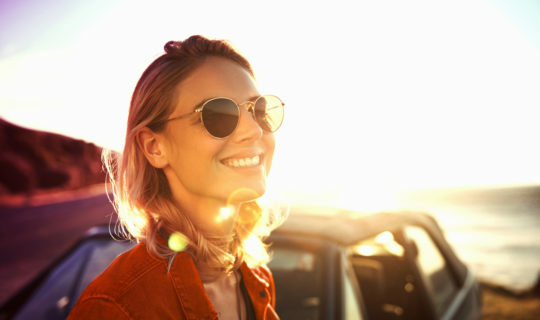 Not only does it cost a lot of money to buy a car, but there are many other expenses that can pile up as the years go by. Before making a purchase, list out all the costs and personalize the variables that could come into play, similar to what was shown above. Customize your own list based on the car you are looking to purchase to make sure it will fit into your budget. And if the time comes when you need money to pay for major repairs, consider a personal loan as one of your options.